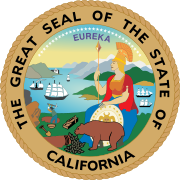 The United States House of Representatives elections in California, 2002 was an election for California's delegation to the United States House of Representatives, which occurred as part of the general election of the House of Representatives on November 5, 2002. California gained 1 seat because of Congressional apportionment following the Census, which Republicans won. Democrats gained the open 39th district. In the 18th district, Democrat Gary Condit, under fire from the Chandra Levy scandal, lost in the primary to his former chief of staff, Dennis Cardoza. This page was last edited on 31 December 2018, at 00:16 (UTC).